Marco dal Maso men's ring. 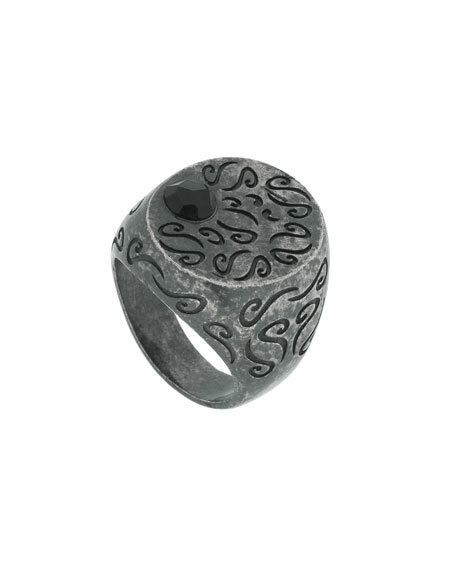 Oxidized sterling silver with etched scroll details. Flat face with round-cut black onyx, 0.75 ct.